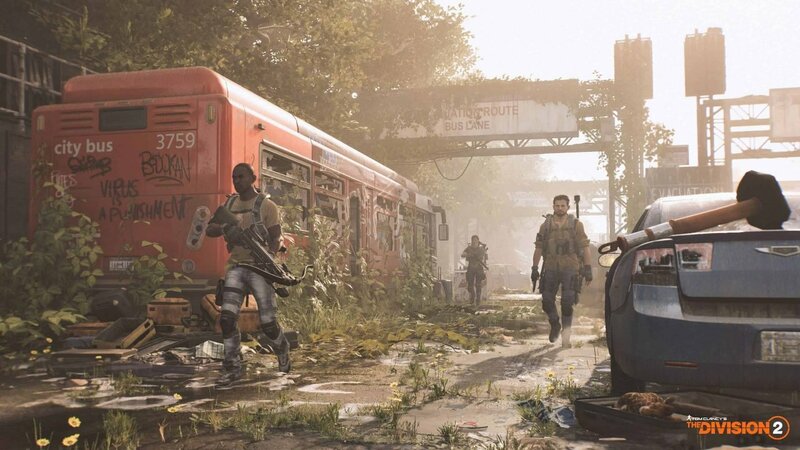 The Division 2 is perhaps the clearest possible example of a sequel exclusively appealing to fans of the original. 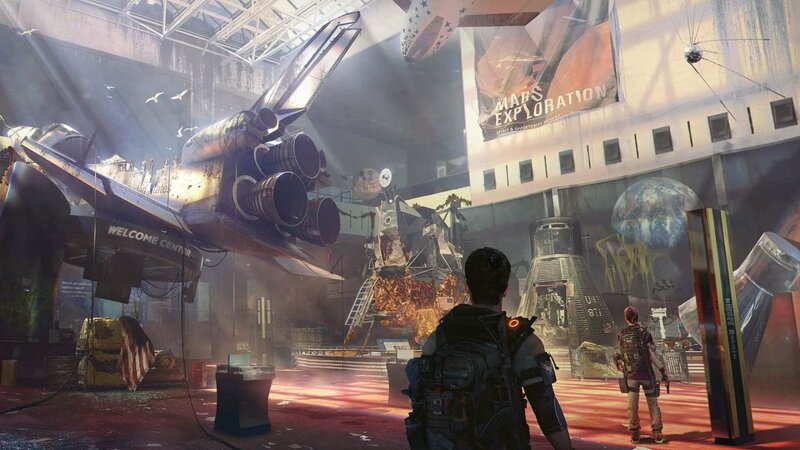 Its biggest improvement over its predecessor – the dense post-level cap “endgame” content – will not entice anyone bored by the MMO-lite grind hidden beneath the shooter trappings, nor will it be enough to distract those who find The Division’s world ethically disquieting. If you can overlook or even embrace the game’s flaws, The Division 2 has plenty of smart design choices to facilitate your loot shooting, just be sure you know what you’re getting into. First, make sure you’ve set aside a lot of time. 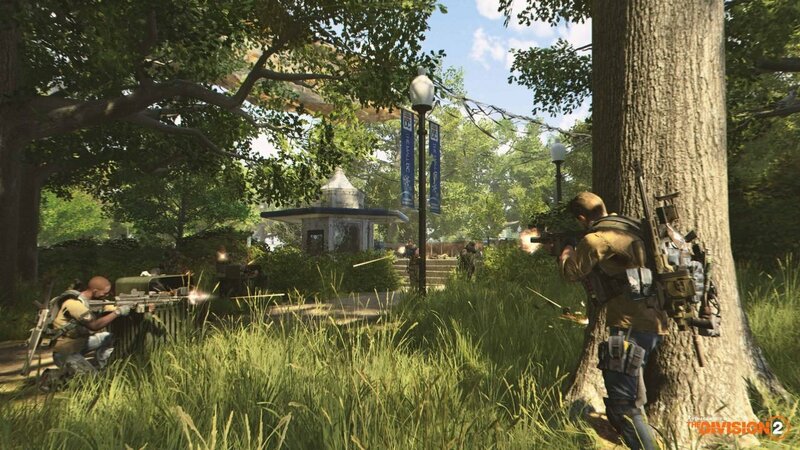 The Division 2 boasts a 1:1 recreation of several Washington D.C. neighbourhoods, with each boasting their own set of story missions, side missions, upgrade point caches, control points to capture, collectibles, and dynamic world events. It’s a lot to take in every time you open the map, but to the game’s credit, it does a fantastic job of making everything you do feel relevant. Random side activities feed into “projects” you can undertake for the game’s major settlements, which reward the player with crafting blueprints, experience, and money – in addition to the rewards you collect for completing the missions. Completing projects and side missions is how you upgrade each settlement. Those upgrades recruit specialists for your base of operations in the White House, which unlocks base upgrades like a crafting bench or a “Bounties” system where players can hunt high-value AI targets. That feeling continues even once you “finish” the game. During what appears to be the last cutscene, the Black Tusk mercenary corporation invades DC with their advanced technology and Metal Gear-esque walking robots, kicking up the conflict between the pre-existing factions. The post-Tusk map looks really dynamic, with a host of moving parts at any one given time. In the endgame, you can replay “invaded” missions, which are just remixed story missions with Black Tusk substituted for whichever kind of enemy you originally fought. It almost feels like the game comes in two parts if longevity is the kind of thing you’re looking for. Even though it took me around 30 hours to even so much as sniff The Division 2’s endgame, I never felt like my time was being wasted. The problem with the loot treadmill that a lot of games employ is that progression is exclusively tied to what weapons you find and your character’s level, so the only sense of forward momentum is locked behind grinding, but that isn’t the case here. Settlements visually grow and improve as you continue to upgrade them; the garbage loot you get from liberating control points is still worth keeping around because you can turn it into crafting materials or recalibrate your existing gear with the junk’s perks; projects automatically check off their objectives as you complete them, so you’ll occasionally finish something without being aware that you were working on it – you’re always moving forward no matter what you’re doing. That problem has been solved, the real issue here is twofold: you need to be okay with the fact that said progress ultimately manifests as little more than “slightly higher numbers on your guy,” and you need to actively enjoy the way this game plays. Sometimes, that’s a tall order. Shooting feels great, apart from an odd recurring bug where my controller’s rumble just stopped working. The guns feel satisfyingly impactful and each skill has an appropriate time and place (even if the drone/turret combo is the only way you’ll be able to finish the game if you’re playing alone). Once you’re in cover and shooting, the game feels fantastic. It’s everything else that’s the problem: getting your character to move from point A to point B without the use of the game’s cover-to-cover mechanic is a real chore. Character movement seems to be designed with combat in mind, the player character more “strafes” than it does “move around,” which would be fine if spending literally any time out of cover was a viable strategy, but it’s not, so trying to move around a battlefield before you get ventilated becomes deeply frustrating. Sprinting without the game’s automatic parkour function practically nullifies sprinting in the first place, since you get caught up so easily on detritus, but sprinting with automatic parkour on will regularly cause you to climb things you have no business climbing, simply because it’s in your way. Of course, this being a realistic shooter, you will climb as gingerly and deliberately as possible. In any shooter where you will die very quickly even if you’ve hit the proper level requirement, movement needs to be as tight and precise as possible, and on a controller, it just isn’t. Perhaps that’s not the case on PC, but with years of solid third-person shooters out there, you would think this problem would have been solved by now. It’s something you can absolutely get used to, as I did, but there’s a learning curve there to be sure. That can be partially mitigated by having other players in your party, which I would highly recommend. It is technically possible to finish the game on your own, and if you absolutely must do that I would recommend getting your character as swole as you possibly can before taking on story missions. I played a majority of the game by myself, only looking for outside help once the story missions started to surpass my character’s level. Thankfully, the game makes it easy to find other players, with an ambient matchmaking system that queues you up for an activity you designate while you muck around in the open world. Most of the time you’ll find somebody within seconds of searching, but it’s still a nice feature nonetheless. I would much rather hear the unfiltered thoughts of random PSN users than even one second of The Division 2’s asinine dialogue, however. When a game’s writing includes phrases such as “Extraordinary judicial powers? Sign me the hell up.” or optional cutscenes where The Bad Guy executes a doctor and leaves civilians to die in a quarantine, that’s usually a good sign you’ve stumbled across a Podcast Game; a game where the audio is replaced by whatever thing you’ve been meaning to catch up on that you don’t have to look at. 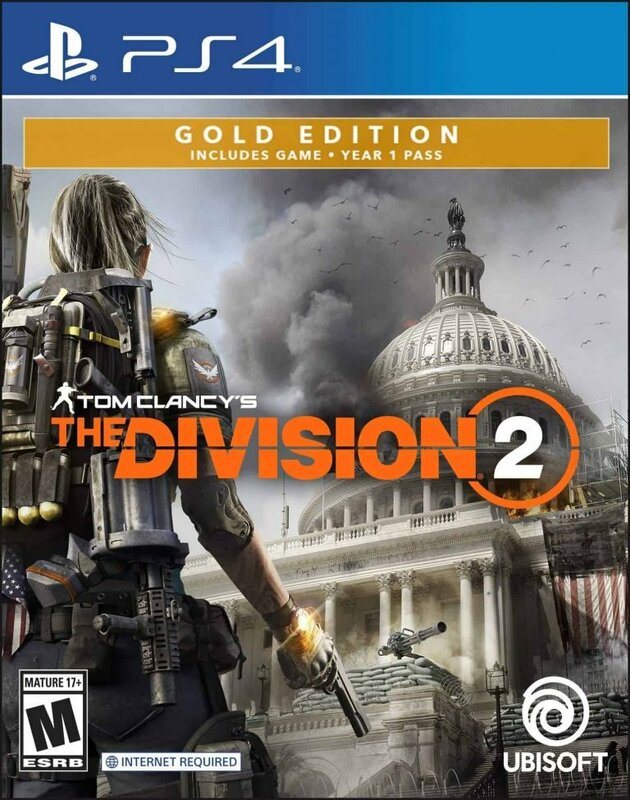 The Division 2 picks up seven months after the first game, where the Green Poison pandemic that shut down New York City has swept across the world, causing a panic that necessitates the activation of the Strategic Homeland Division: a group of armed American sleeper agents authorized to do “whatever is necessary” that answer exclusively to the President. 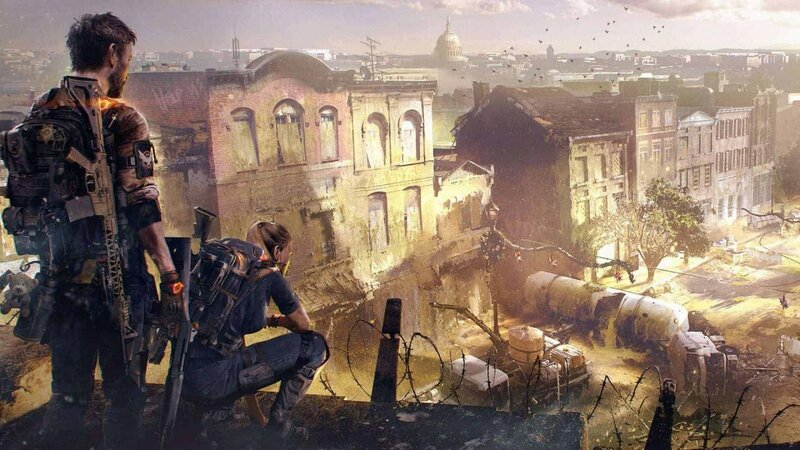 The Washington D.C.-based network that powers the SHD is imperilled, sending agents to the capitol so they can fix things. When your mute player character arrives, they find the city has been overrun by three of the most unimaginative disaster-focused open world factions I’ve seen in years. There’s the faceless gang of gangsters (Hyenas), the semi-religious maybe-cult (Outcasts), and The Military, But Not Really (The True Sons). Black Tusk’s presence in the endgame does help the game’s back half escape the Street Gang to Cultists to Military progression you often see in games like these, but it’s still really hard to care. In the face of a story like that, claiming that this game has no political affiliation is ludicrous. The player character is a supercop with a license to kill and no oversight aside from one person, fully authorized and kitted out by the federal government. There are no redeeming qualities to any of the game’s antagonists (yet I still felt bad for them, since most of the game’s enemies crumple to the ground and clutch their wounds upon being killed in a way I found legitimately upsetting). Have we truly run out of every colonialist fantasy possible, to the point where developers have to wrangle a settler/bandit narrative out of major American cities? Hell, you’re even referred to as the “Sheriff” from time to time, represented on the protagonists’ war room map by a Wild West figurine. If you find this game’s story distasteful, especially considering the modern American political climate of misused government overreach, I really can’t blame you. Everything is political, it’s just that many don’t realize that things like the status quo or basic power fantasies fall into that category whether they like it or not. There are plenty of reasons to not like The Division 2 – and that’s without getting into my tome of small, if ultimately irrelevant complaints, like a menu system that occasionally binds two different commands to the left trigger, making navigation literally impossible as intended. If you didn’t wake up yesterday wanting to play a really strong loot shooter, there’s really not much for you here, especially if you can’t overlook the unsettling political ramifications of being judge, jury, and executioner in an ultraviolent Washington D.C.
With a stronger endgame and a solid loot treadmill, The Division 2 preaches to the choir, fully uninterested in converting those who find the series unpleasant to play for one reason or another.